Colour Craft Media is an upstart, progressive, wedding cinematography and event videography studio that also specializes in commercial + corporate film production. We are based in Honolulu, Hawaii and are available for worldwide commission. We take great pride in our work and therefore only take a limited amount of commissions. A small number of 2012 dates are still available and we are currently booking 2013 dates. Inquire early to ensure availability. 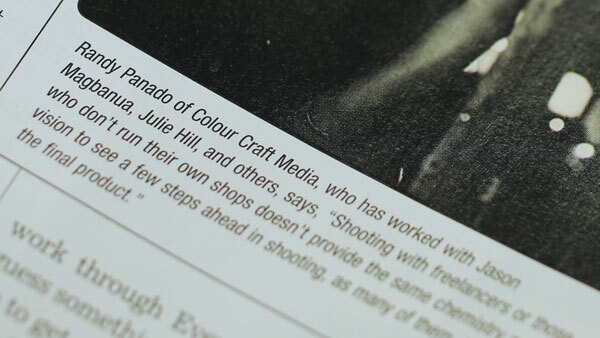 For our recent wedding films and commercial work, please visit our blog : The Chronicles of Colour Craft Media. Not only will you find us showcasing fine works of cinematography, you'll also find things such as industry talk and images from our different commissions to general musings about life, art, our travels, and occasionally reviews on the equipment that allows us to capture our unique imagery. I believe a film should be a work of art. I feel that connecting with my couples + clients and learning about their interests translates onto the camera. I also believe that the ART does not have to suffer in lieu of the business. I feel that I've had the esteemed privilege of having the coolest people on Earth be in front of my camera and I truly enjoy creating incredible imagery for them. And I enjoy long walks on the beach. 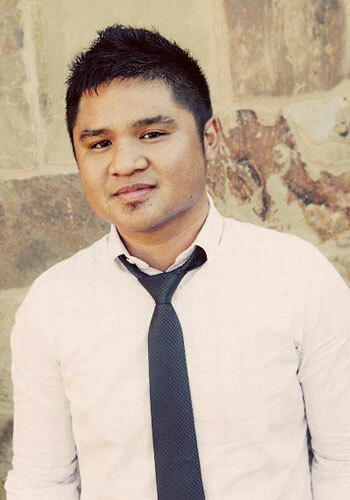 CCm is a multimedia studio who specializes in creating custom and personalized wedding films. 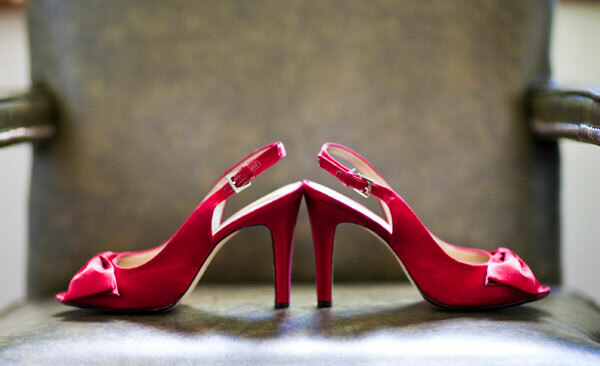 Your story is our main focus and goal is to produce a stylish and unique representation of your day. Having a high personal touch is a signature footprint of our service. We take great pride and care in crafting a personalized film for you rather than just being a "wedding video factory". If you'd like to learn more about our service, click on the contact form. We'd love to hear from you. We feel the most important thing when it comes to shooting a once in the lifetime event is CHEMISTRY. We put great value on this particular part of the process as we believe it will lead to stronger, more genuine imagery and connections. We take our time to get to know your story and what makes you unique. In order to establish this bond, we've decided to only take a limited amount of commissions each year. This gives us the ability to know our couples and commercial clients, allowing us to find out what makes them special as individuals. We've filmed in international destinations such as Canada, Mexico, China, as well as nationally in California, New York, Ohio, and Texas for wedding cinematography and commercial film + videography. Please inquire should you have a wedding or commercial project that is outside of Oahu, Hawaii or the Hawaiian Islands. In terms of investment, local Hawaii based commissions start at $3,450 USD. We have simplified our most popular wedding cinematography and event videography configurations into neatly packaged collections and are able to tailor them to meet your specific needs. If you'd like to learn more about us and what we believe a wedding film should be, CONTACT US! 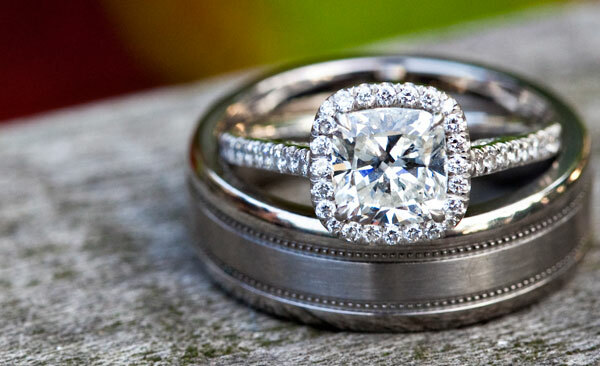 Kindly share why you think we'd be a great fit for each other as well as any other details of your special day. We'd be glad to send over a PDF detailing all of our different options that are available. With that said, we'd also be happy to meet in person or chat via telephone or Skype. That, of course, comes at no charge. Raised in Hawaii and having lived in the US mainland twice for a couple of years, I've found that many here have a very island based mentality. I've always strived to push a global mindset, that we here on the islands can make a name internationally for hawaii wedding cinematography + videography. I've worked with international + award winning wedding filmmaking studios time and time again and always was so humbled and honoured for them to have chose me as a temporary member of their teams. Notable names such as Jason Magbanua, Michael Y. Wong, Bruce Patterson, Angel DeArmas, Loyd Calomay, the list goes on and on. "That’s partly because of their sheer talent and partly because “great minds think alike.” Or at least experienced minds. Someone who is accustomed to running the show is naturally more likely to be considering your end product and the process it takes to achieve that. 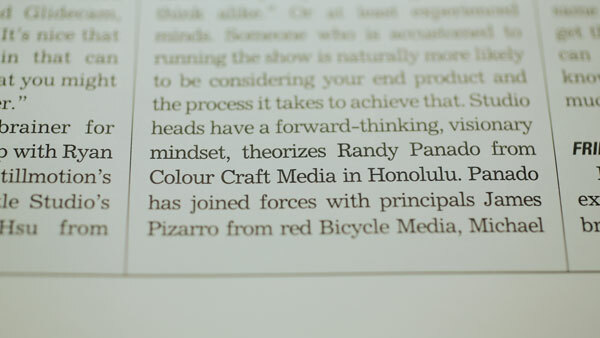 Studio heads have a forward-thinking, visionary mindset, theorizes Randy Panado from Colour Craft Media in Honolulu. 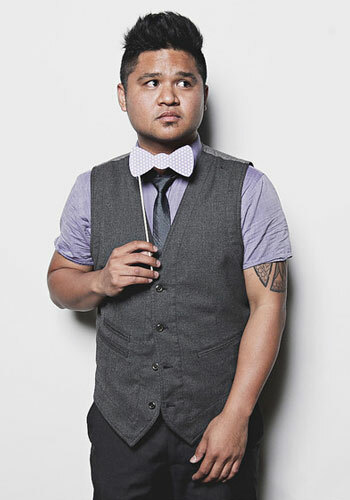 Panado credits collaborating for putting his freshman studio on the fast track. “I know of studios who have been in the industry for 10 years who still haven’t reached some of the milestones I’ve been fortunate enough to hit in terms of market appeal and creative approach. I fully attribute that to my sincere interest in reaching out and networking with fellow event filmmakers rather than doing it the hard way and figuring things out through trial and error over the course of a number of years. When collaborating with artists who have a true passion for sharing, I feel one can find indispensable knowledge that is not readily available. EventDV really appreciated my input. So much so, they contacted me about writing another article. 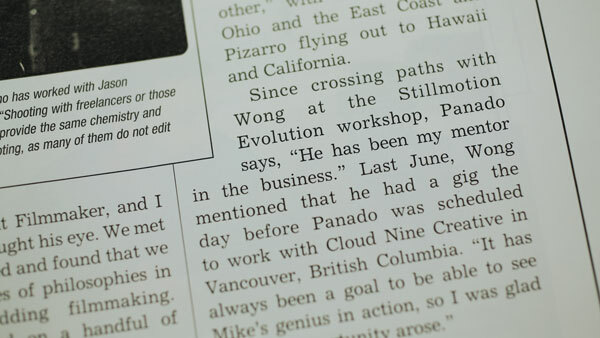 To date, I've been published as an author twice in the magazine for our specific industry, Event + Wedding Videography. It has been quite the blessing to have been able to have been featured in such a prominent industry resource. 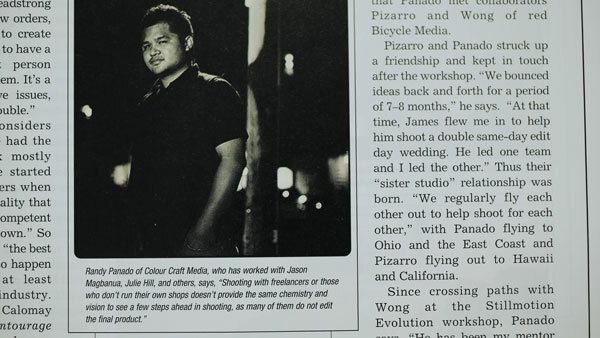 It's been my goal to reach higher and higher each year and I'm proud to have been the only Hawaii Wedding Cinematographer / Videographer to have ever been featured in this magazine. 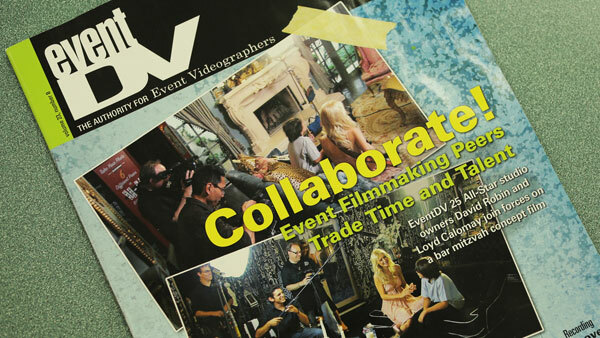 Read some of the articles we've written in EventDV Magazine! What is a same day edit/sde? A Same Day Edit is a film that is filmed, produced, and shown at the end of the day. We shoot while simultaneously edit the footage through out the event and then project in High Definition. We only do a certain amount every year so please inquire for availability. Now while most will argue semantics on what is cinematography vs. videography, the easiest way for me to put into words why we choose to "label" ourselves as wedding cinematographers is due to the way we tell stories and the movement of our camera. We do our best to shoot everything as cinematically as possible and avoid the cliche moves, angles, and editing choices that most wedding videographers use. Let's face it, we all remember the old school videos with all 50% slow motion footage mixed in with random black and white clips while using stars or hearts as transitions. If that's what you're looking for, we are definitely NOT able to provide that ;). 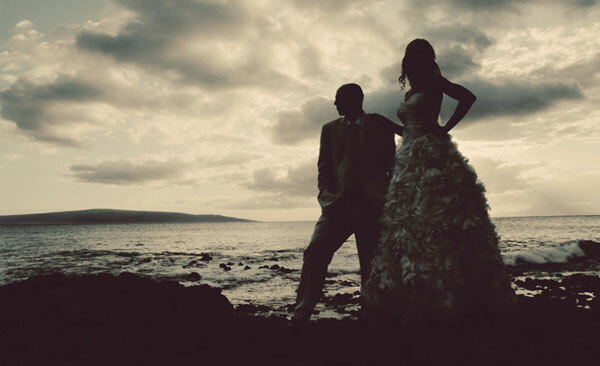 I'm happy to say that most of our clients find us thru google using "Hawaii Wedding Cinema" or Hawaii Wedding Cinematography" as their search terms. These wonderful, discerning brides + grooms can spot the difference between wedding cinematography and wedding videography right away and while most can't explain it, they can definitely say there is a contrast in styles. Can you reserve a date? I proooooomiseeee i'll book! We don't send out multiple teams on a given day and coupled with the fact that we only do 12-15 events a year, we have very limited availability. Once we received a contract + retainer / deposit for a specific date, it is then considered booked. Unfortunately we're not able to take tentative bookings. Who does the editing and how long does it take to get my final film/video? Do you travel? If so, who pays for it? Why yes, we do. :) I've been to several different countries + states for cinematography commissions and would be happy to discuss travel. All travel costs are handled by the client. Please inquire for more info. Do I need to provide food/per diem for you and your team? Yes, please. A hungry cinematographer does not make for a good cinematographer. There's only so many angles a camera can get on the floor after we've passed out from starvation. We REALLY appreciate being fed :). Do you shoot in HD and offer blu-ray? Yes and yes. We currently film the majority of everything in 1080P full HD. Blu-Ray is available as an upgrade with Hollywood quality authoring and packaging.